Here at the Hog's Breath in Key West, Florida, we have a history of good times and great entertainment and fun, not to mention the drinks and food are outstanding! 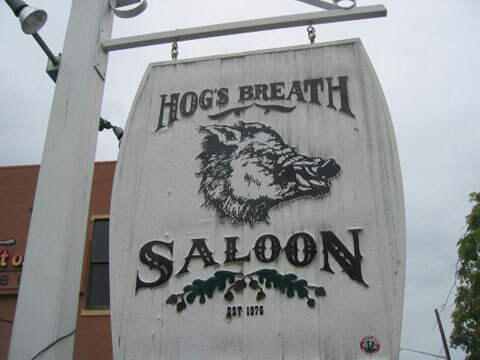 You may have seen our famous T-shirts or heard about our World Famous Homemade Bikini Contest, if you can't be here to check out the Hog's Breath for yourself, you can visit the Key West Hog's Breath on our Hog Cam. The Hog Cam features three streaming web cams including a stage cam where you can hear the music just as if you were live at the Hog's Breath. If you need a classic Hog's Breath T-shirt, be sure to check out our online Hog Shop for a wide variety of Hog's Breath merchandise.